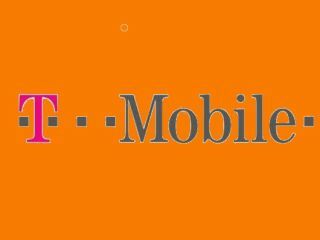 Orange and T-Mobile merger to be taken to UK authorities? The UK Office of Fair Trading has requested to the EU that it take over the anti-trust case regarding the Orange and T-Mobile merger. The EU is currently considering the proposal, although will continue its own probe until the beginning of March this year. "We are concerned about the short and long-term competitive issues which the proposed merger raises for UK consumers and the mobile market. We believe that the OFT is right to call for the merger to be scrutinised where it matters most, the UK. The statement continues: "The proposed merger could lead to a concentration of 84 per cent of the nation's 1800Mhz radio spectrum in the hands of a single company. This spectrum is crucial for the realisation of the Digital Britain initiative. "For the merger to take place without significant harm to consumers and competition we believe the merged operator should be required to release at least a third of the 1800Mhz spectrum it currently leases." The 1800MHz spectrum band is currently used for 2G voice calls, but in the future (as part of the Digital Britain initiative to allow broadband connections to the whole country) it will be freed up to be used for 3G data, and Orange and T-Mobile would currently be able to provide a faster service to more customers if allocations stay as they are.